New cars keep going up in price. And if consumers keep paying the price, that probably won't end anytime soon. The average transaction price (ATP) in July was $34,264, according to Kelley Blue Book (KBB). That's up 2.5% from July 2015 and a 0.2% rise from June. “Low interest rates, longer loan terms and increased leasing are helping consumers afford their monthly payments, which would be upwards of $550 per month on a traditional 60-month term,” said Tim Fleming, analyst for Kelley Blue Book. In fact, leasing is a major enabler of ever-higher prices. Edmunds.com just reported there were more auto leases in the first half of 2016 than the first half of any year in history. 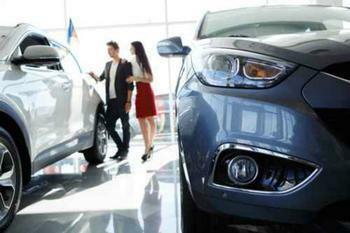 Consumers buying Fiat Chrysler models last month paid the biggest increases. The report shows the average Fiat Chrysler model sold for $35,153, a year-over-year increase of 3.8%. General Motors models carried the second-highest price increases, rising to $39,104, an increase of 3.3%. Toyota and Ford both raised prices by 2.2%. Toyota benefited from strong price support for the Tacoma truck, which raised its ATP 12% year-over-year. Even Volkswagon, still recovering from the diesel emissions scandal, was able to wring out a price increase, with the ATP rising 1% from last July. The KBB numbers show trucks, vans, sports cars, and high-end luxury cars were able to raise prices the most. Van prices were up 7.5%, sports car prices were up 7.3%, truck prices gained 7.1%, and luxury car prices were up 7%. Where might consumers find a bargain? If last month's sales figures are any indication, it might be at a local Nissan dealer. Nissan was the only carmaker to report a lower year-over-year ATP, which was down 1%. However, the Infinity rose 4% on a higher mix of SUV sales. Titan XD pickup prices also surged in July, but sales volume wasn't enough to move the needle. Though peaking new car sales have been forecast for months now, Fisher says he's not sure how much more prices can rise without greatly impacting sales.